Having a deck can be a wonderful addition to any home—no matter whether it’s for curling up with a good book, entertaining guests, or throwing a summer barbecue. 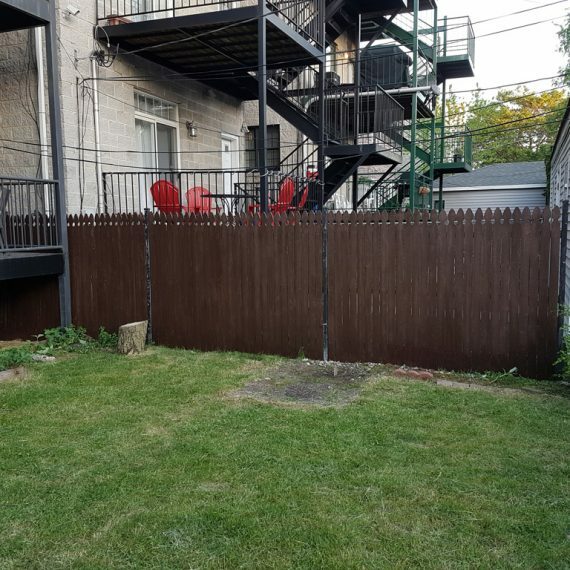 Unfortunately, the space is completely exposed to the natural elements, meaning when it rains, snows, or gets windy, your deck bear the brunt of the damage. Fortunately, our home repair professionals are here to keep it looking its best. All exterior wood needs to be protected from rotting, water absorption, ultraviolet rays, moss, and mildew. 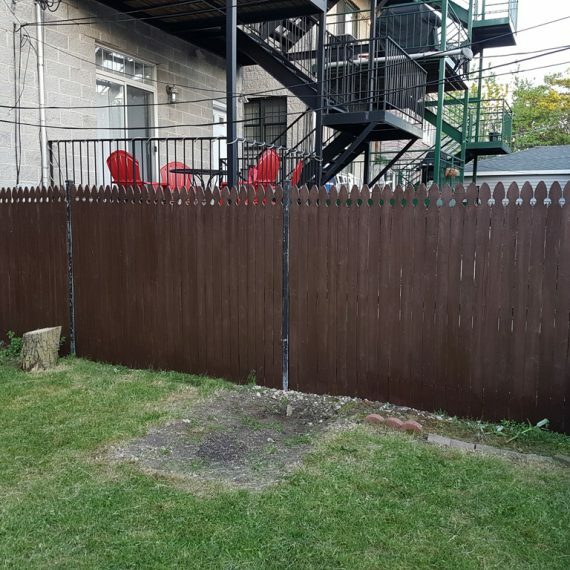 If left untreated or neglected, your wood could deteriorate – costing thousands of dollars in unnecessary damage. Four Seasons offers professional deck cleaning, stripping, brightening, and deck staining of all types of wood decks, fences, log homes, docks, gazebos and playground sets. We also specialize in mold remediation for composite decks plagued with black mold. Meet the team that will rescue your deck and wood surfaces and make them look like new again. 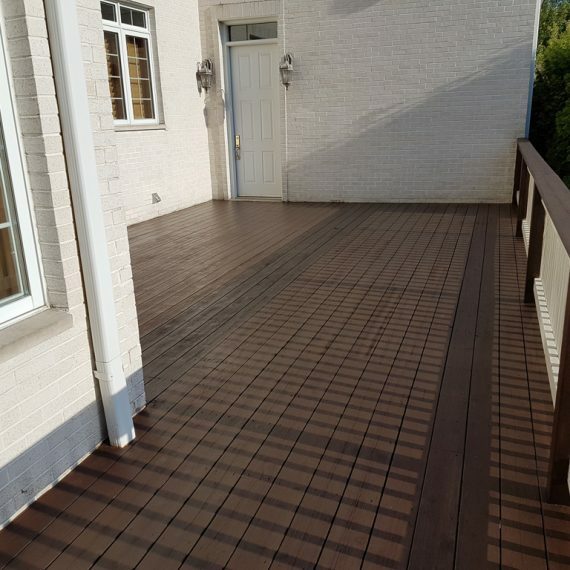 Toners give you the advantage of adding a rich, natural color to your deck without the hassle of “stripping” the existing product off with each subsequent treatment. The thing to keep in mind with toners, as opposed to stains, is that they allow more of the wood grain to show through. This results in your wood structures having a pleasing blend of natural colors after being sealed. These translucent tones will vary depending upon the angle from which you view the wood, as well from the reflection of sunlight off it. Knotholes (especially those leaking sap / pine resin), will dry a chalky, whitish color. Short of board replacement, there is no preventative against this type of occurrence. Deck Stripping: We use a 100% biodegradable stripping enzyme. Be mindful that no stripping agent, no matter how heavily or how many times applied, will remove 100% of the old stain from your deck. In most cases, 90% – 95% is the norm. Vertical surfaces such as spindles and/or heavily-coated floor boards may not completely come clean. However, when the sealant is applied to these areas the sealant typically blends in quite well. To achieve 100% removal, sanding is required at an additional hourly rate (should our schedule permit it). • Removes gray wood fibers and kills mildew and mold. • Oxygenates the wood to make it more porous. This allows the sealant to penetrate deeper to the core of the board. 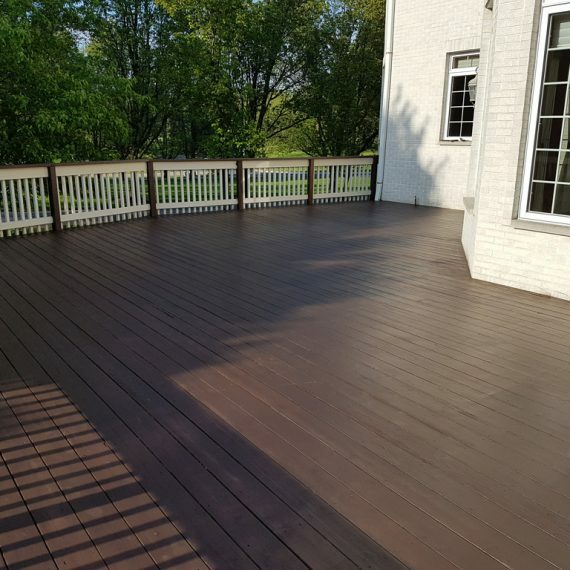 In general, the use of a Deck Brightener, as opposed to merely washing with water, increases the longevity of the treatment by as much as 50%. This can save the homeowner hundreds, even thousands of dollars in repeat treatments throughout the life of their deck. The foaming action of Deck Brightener is as effective as it is fascinating to watch! Your deck, fence, log home, gazebo or play set will literally “bubble” as the wood contaminants safely melt away from your investment.